This week, the House unanimously passed House Resolution 1084, my legislation that designates Sept. 23-29, 2018 as “Active Aging Week” in Pennsylvania. Active Aging Week is an annual event created by the International Council on Active Aging to promote healthy lifestyles and increase physical activity among older adults. This year’s theme of “Inspire Wellness” recognizes the contributions that older adults make at the local level and generally, throughout the entire Commonwealth. By setting active examples in their neighborhoods, seniors are encouraging people to participate as fully in life as possible at any age, regardless of health conditions. By encouraging their participation to get up and get active, we are enhancing their quality of life, while also creating a healthier, happier environment that benefits all Pennsylvanians. As you know, increasing physical and mental activity in older adults helps to maintain their cognitive function which, in turn, prolongs the onset of Alzheimer’s Disease and other related dementias. Studies conclusively show that increased activity among the elderly prolongs and greatly enhances their quality of life. A representative from the American Legion will visit my Tunkhannock District Office this Wednesday, Oct. 3, from 9 a.m. to 1 p.m. to answer any individual questions you may have. Please call the office at (570) 836-4777 t make an appointment. Harveys Lake, my hometown borough, is collecting items for victims of Hurricane Florence. Items are collected at the parking lot at the Police Department at Harveys Lake from 8 a.m. to 5 p.m. daily (until the truck is filled). Needed items include paper products, water, and personal care products. 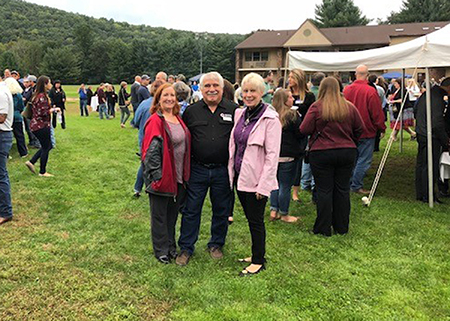 Local businesses, community advocates and area residents joined together on Thursday for another successful Wyoming County Chamber of Commerce Fallfest. 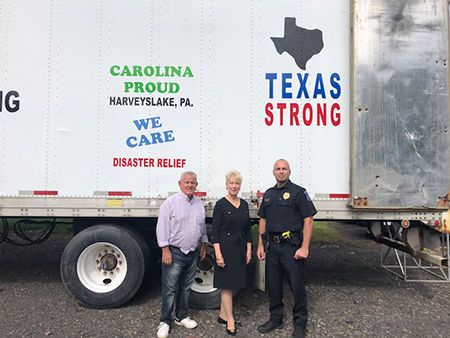 Pictured with me are Jannet and Bill Goldsworthy, who is executive director for the American Red Cross of Northeast PA. Bill says there are numerous NEPA volunteers now in North Carolina aiding victims of Hurricane Florence. Tuesday, Oct. 2 - Mehoopany Township Municipal Building, 237 Schoolhouse Road, Mehoopany (8-10 a.m.), and the Meshoppen Borough Building, intersection of Canal Street and Route 267, Meshoppen (11 a.m. to 1 p.m.). Wednesday, Oct. 3 – Dalton Borough Building, 105 W. Main St., Dalton (10 a.m. to noon). This past week – Sept. 17-21 – was designated SepticSmart Week and is a good time to check your system to ensure it is in working order. ….for an event I am hosting in October for local volunteer fire and emergency medical service organizations. While these brave men and women specialize in being there for us in our time of need, there is also a business aspect to emergency response that they need to be aware of. This seminar will serve as a forum for addressing concerns they have about some of the key issues with which they have to deal. We’re holding the seminar in response to numerous questions my staff and I have fielded on grant writing, mandated training hours and instances of theft of association funds. 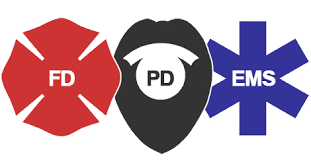 Scheduled to speak at the seminar are Acting State Fire Commissioner Bruce Trego, Pennsylvania EMS Director Dylan Ferguson, Veterans Affairs and Emergency Preparedness Research Committee Analyst Sean Harris and Dr. Fred Croop, professor of business and accounting at Misericordia University. This seminar will take place this Wednesday, Oct. 3, from 6-8 p.m. at the Back Mountain Regional E.M.A. Building, 3593 State Route 118, Lehman Township. Doors open at 5:30 p.m.